Hygiene is important. A clean body does not only make us look and feel good; it also makes us look and feel healthy. A bad hygiene exposes us to more disease-causing germs and bacteria. Also, it can give us bad smell and appearance that can make people stay as far away from us as possible. We do not have to go over the top in establishing a complicated and time-consuming daily routine for our hygiene and buy expensive products. Simple cleanliness will do. Follow the basic rules for a good hygiene. Most of the time, this will be enough. When we go outside, we get exposed to pollution and other elements. Our body absorbs all the dirt and smoke that is in the air. The smell and dirt remains in our body and it can only be removed by taking a bath or shower. Aside from making us cleaner, it can help us feel fresher and thus more relaxed by removing sweat and cooling our body down. 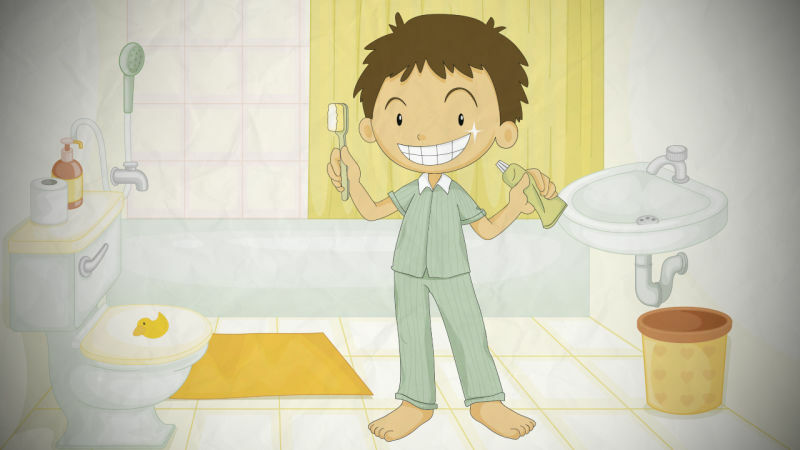 Brush your teeth at least twice daily, one in the morning and one at night. It is necessary to remove food caught between your teeth and the other elements that develop in your teeth. Failure to do so may result to tooth decay and bad breath. It may cause you pain in your teeth and gums and may make you lose your teeth. People may also find it undesirable to look at you because of dirty teeth and be repelled by your bad breath. Thus, keep your teeth clean by regular washing. Reinforce your brushing by a good mouthwash. Change your clothes and socks daily. Dirt, sweat and germs collect at your clothes, especially in the area of the armpits, and socks. They may develop smell and give you body odor. The dirt from the previous day collected at that clothe and can give you a hot and less comfortable feeling even if you have taken a bath already. Comb your hair more than once a day. Do not forget about your hair after you left the house in the morning. Your hair is the first thing they see about you. A hair not properly combed can give a grungy appearance. Wash hands always, especially before and after eating. Our hands easily get germs and transfer it inside our body through eating and cause us sickness. Money, a handrail in a bus, a doorknob or any of those things that our hands often come in contact with contains germs that easily cling to our hands. Keep nails clean too. Dirt can easily get between the nails making it look dirty and making it easier to get into our body. Wash your feet daily. Use fresh socks every day. Germs easily gather inside the shoes and proliferate due to the temperature and develop bad smelly feet. Keeping the body clean is not only about health, but for self-improvement, as well. You will notice that with a clean and healthy body, you will gain friends, get a decent job, stand out, and even reach your goals in life. Yes, it all starts with proper care for the body.